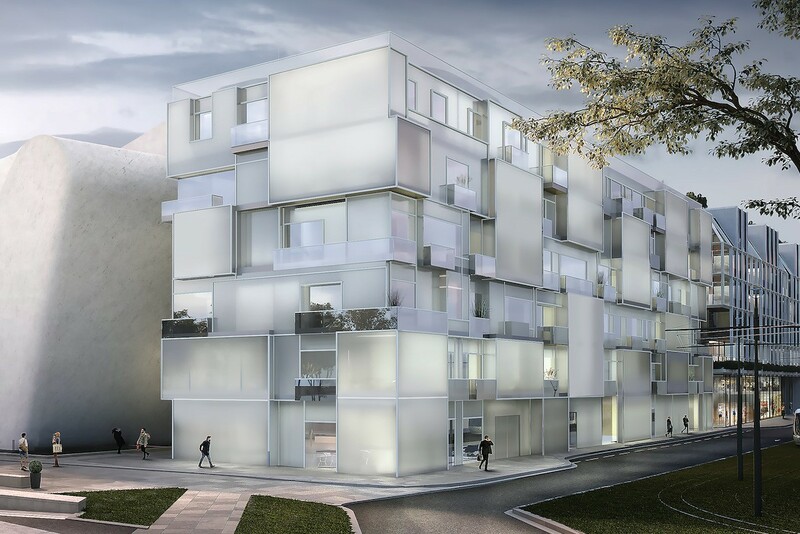 March 15, 2018 — Steven Holl Architects, together with Compagnie de Phalsbourg, has won the international design competition for the new Angers Collectors Museum / Le Musée des Collectionneurs and an adjacent hotel in the center of Angers, France. 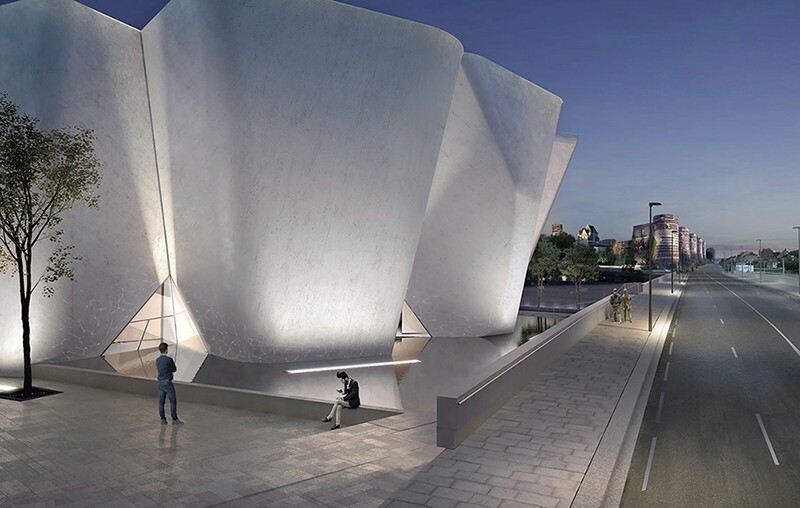 The new museum is inspired by the historic Chateau d’Angers and forms a new cultural gateway for the city. The site for the new Angers Collectors Museum is in the center of the city, on the east bank of the Maine river and across from the Chateau d’Angers, built by King Louis IX between 1228 and 1238 on the foundations of a 9th century fortress. It is also adjacent to the city’s largest theater Le Quai, creating a new cultural triangle in the heart of Angers and bridging the medieval and contemporary architecture. The museum is set within a series of reflecting pools, which relate back to the history of the site, which was once part of the river. The new Museum is connected to a linear hotel, which is inspired by the 14th century Apocalypse Tapestry, which is on display at the Chateau d’Angers. Clear and translucent glass are woven together to create a tapestry-like façade. 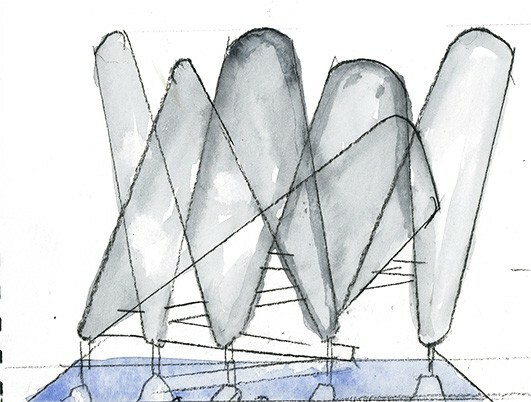 Together, the museum and hotel shape a public sculpture garden at the center of the site. 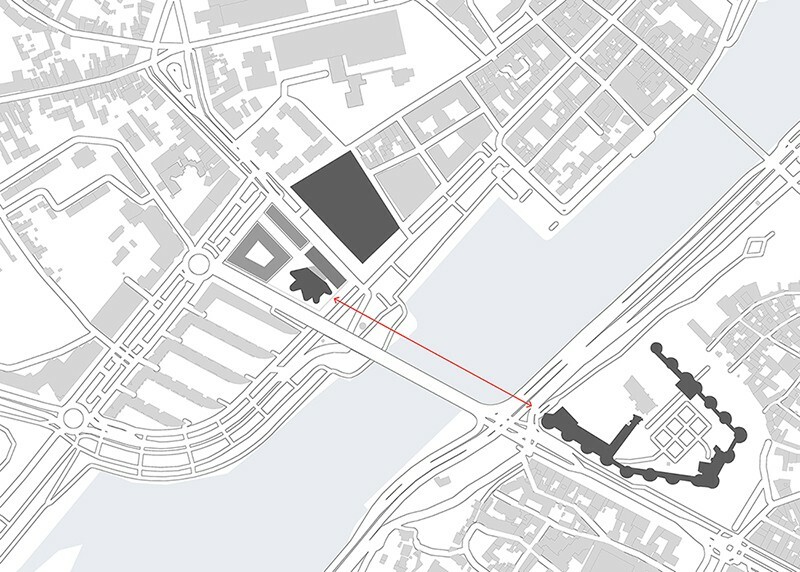 Passages through the site engage the sculpture garden and connect the site and city to the river. 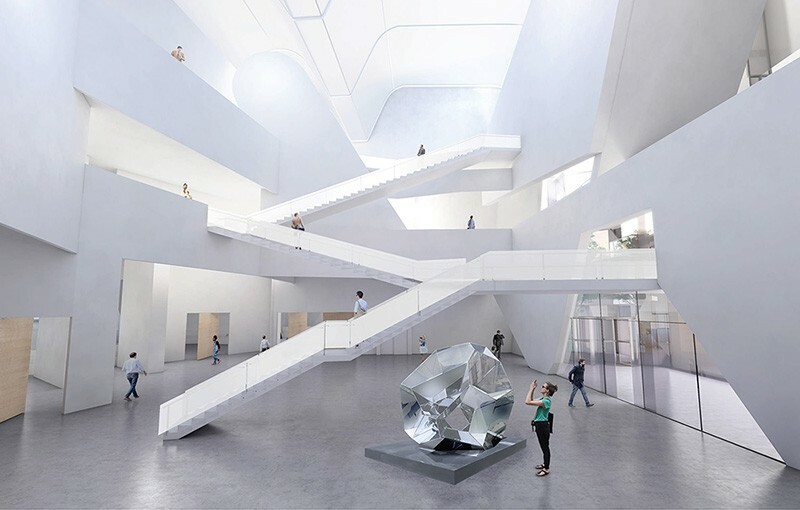 The 4742 sm, exposed titanium white concrete museum will feature galleries for permanent and temporary exhibitions and an atrium event space, and provide spaces for art education and art storage. In addition, it will share a rooftop restaurant with the hotel. Geothermal heating and cooling eliminate fossil fuels, and recycled water fills the reflecting pools.